Welcome to TerraQuest, the foremost producer of travel content on the Web. 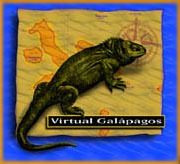 Using innovative design, the latest in digital technology, and valuable content, TerraQuest has built a reputation for quality and excitement in education, entertainment and information with its "virtual expeditions on the World Wide Web." Don't just sit there -- take a trip with TerraQuest! Join TerraQuest, for an exciting event in Yosemite National Park -- three thousand feet of solid rock, straight up the face of El Capitan! We were "on the wall" for HighSights '96 as noted blind adventurer Erik Weihenmayer made his inspirational ascent. Presented in association with the American Foundation for the Blind. Join a shipload of wired adventurers on their sail through this living laboratory of evolution. With Dispatches from the field and a Gallery of digital images, VirtualGalápagos showcases the award-winning TerraQuest experience! Going' South -- Way South! Relive the excitement of TerraQuest's first "cool" site -- Virtual Antarctica, as a team of polar explorers, with digital photography and satellite uplinks, goes in pursuit of the perfect penguin!